The health number is off by default but I want it to display. The health number is hard to see in front of the cross though so can someone tell me how to move it so it hovers above the cross, or maybe change the font color? the six is cut off how do I fix it? I've been trying to make a hud, and was reccomended to use GCFScape to get the default hud files. However, when i get the default hud files and make an edit, it does not change anything. Upon further inspection, I realized it does not include an info.vdf file. Is there anything else missing, or does anyone have a place where I can find the default HUD files to work off of? TsarbucksI've been trying to make a hud, and was reccomended to use GCFScape to get the default hud files. However, when i get the default hud files and make an edit, it does not change anything. Upon further inspection, I realized it does not include an info.vdf file. Is there anything else missing, or does anyone have a place where I can find the default HUD files to work off of? @Tsarbucks, as Cubekoi stated, you should have most everything. I also have a stock HUD repo (config files only), with additions/removals described in the linked wiki page. For updates, I recommend following huds.tf and/or this tracker (feed). If you are using a controller, I do not know if using the mouse+kb menu breaks your ability to disguise. If you need to modify the controller disguise menu, most of the files you need to tinker with are in /resource/ui/disguise_menu_360/ or /disguise_menu_sc/. Search for guides on how to edit a HUD - it is easy. As for stock files, you can dl from the repos shared above. If you want to reposition the disguise menu (or even move it offscreen to hide it), see "HudMenuSpyDisguise" in /scripts/hudlayout.res. I also have a stock HUD [url=https://github.com/Tewgon/tf2basehud/wiki/Changes]repo[/url] (config files only), with additions/removals described in the linked wiki page. For updates, I recommend following huds.tf and/or this [url=https://github.com/SteamDatabase/GameTracking/tree/master/tf/tf/tf2_misc_dir]tracker[/url] ([url=https://github.com/SteamDatabase/GameTracking/commits/master/tf/tf/tf2_misc_dir.atom]feed[/url]). @Koncept, try [code]tf_disguise_menu_controller_mode 0[/code] If you are using a controller, I do not know if using the mouse+kb menu breaks your ability to disguise. I'm just trying to move the health number (150 in the picture), not remove the floating health value completely. edit: the console command did the trick. Thanks!! I was going to start toying around with making a hud and wondered what the best up to date resource is that can walk me through the process. I saw the rays youtube series, but saw that it was 2 years old and was wondering if it was all still relevant. EDIT: nvm someone answered me. If anyone has any other good resources still let me know. How can I Move the heart on Garm3n Q-M below my crosshair? f2s4x1oHow can I Move the heart on Garm3n Q-M below my crosshair? [quote=f2s4x1o]How can I Move the heart on Garm3n Q-M below my crosshair? Koncept f2s4x1oHow can I Move the heart on Garm3n Q-M below my crosshair? [quote=Koncept][quote=f2s4x1o]How can I Move the heart on Garm3n Q-M below my crosshair? Open the original game vtfs with VTF Edit and figure out which flags they have set, where their pixels for borders start and see if you can work out if the 'src' and 'draw' for corner width/height have any influence where you set them. And have a look at the VMTs and see if there is something of significance there which causes the 'stretch' behavior. How do I fix the cap animation being square instead of the circle only? It works sometimes, but most of the time it doesn't. Also, wasn't there a thread about using custom control point icons on all servers? Can't find it anymore. JBHow do I fix the cap animation being square instead of the circle only? It works sometimes, but most of the time it doesn't. [quote=JB]How do I fix the cap animation being square instead of the circle only? It works sometimes, but most of the time it doesn't. Does anybody know how I can add add the background of the health bar like this? Again, does anybody know how I can add a background to my health bar? Thanks. CardfightGamerDoes anybody know how I can add add the background of the health bar like this? [quote=CardfightGamer]Does anybody know how I can add add the background of the health bar like this? WiethoofdOpen the original game vtfs with VTF Edit and figure out which flags they have set, where their pixels for borders start and see if you can work out if the 'src' and 'draw' for corner width/height have any influence where you set them. And have a look at the VMTs and see if there is something of significance there which causes the 'stretch' behavior. Do you know anything I can do? XenThePybro, try a VM to run Windows instead? 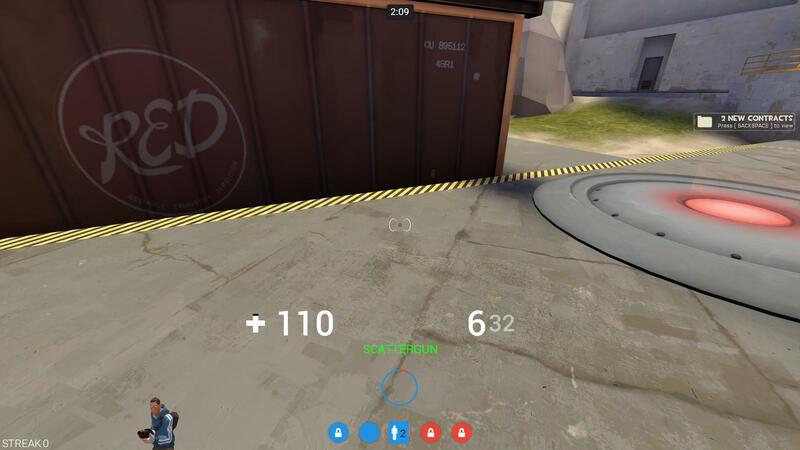 @JB, the preloading trick should work, make sure to test cp_degrootkeep as well for the control points, A-C letters and the countdown timer. Also Steel will make you cry with 30 different icons and RGBA8888 instead of DTX5 saved VTFs! @JB, the [url=http://rebelconquer.net/36176/how-to-get-custom-cp-icons-to-work#1]preloading trick[/url] should work, make sure to test cp_degrootkeep as well for the control points, A-C letters and the countdown timer. Also Steel will make you cry with 30 different icons and RGBA8888 instead of DTX5 saved VTFs! Wiethoofd@JB, the preloading trick should work, make sure to test cp_degrootkeep as well for the control points, A-C letters and the countdown timer. Also Steel will make you cry with 30 different icons and RGBA8888 instead of DTX5 saved VTFs! I used the preloading trick for the control point icons and the cap animations. The icons work, the capture animations don't though. I asume the files I need to look into are icon_obj_cap_blu, icon_obj_cap_red and icon_obj_cap_mask? I got these three set up like everything else and preloaded in main menu. With sv_pure, the default cap animations are used. Without sv_pure, the icon_obj_cap_blu/red are used but they are acting like I posted in #3886. Anything I set up incorrectly or am missing completely? Imho the code to preload all the cap images is way to much (a simple imagepanel in main menu to show the texture and then moving it off screen should be sufficient, nest them all in a single element and move that one off screen and you're good to go). No clue why they don't work, haven't used the preloading trick myself because the custom icons I've made are all being used in casting huds. My motd is broken. It has been like this for a while but when I clicked the read more button it took me to magnumhud's update page. My mainmenuoverride.res file was fresh from the stock files and I checked the urls so I dont think it could be that. Does anyone have any idea? How can i change the cow mangler ammo count from being a bar to numbers like a regular rocket launcher? ShooshHow can i change the cow mangler ammo count from being a bar to numbers like a regular rocket launcher? WiethoofdNo clue why they don't work, haven't used the preloading trick myself because the custom icons I've made are all being used in casting huds. I just noticed depending on what weapon I use, the cap animations either work or don't work. For example as scout, when using scattergun, baby face blaster or pistol for example, the cap animation looks like this. When switching to three rune blade for example though, it is working until I switch back. I tried several classes and it is different for all classes as far as I can tell. I tried adding my control point icons to an other hud and it's been acting the same way, with my control point icons and with the custom control points icons used by that hud. So I guess it's supposed to work that way. I just noticed depending on what weapon I use, the cap animations either work or don't work. 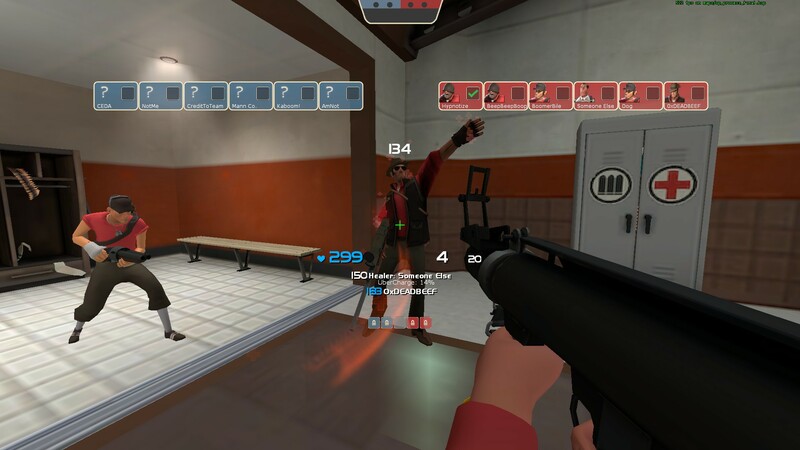 For example as scout, when using scattergun, baby face blaster or pistol for example, the cap animation looks like [url=http://i.imgur.com/dgZfbPT.png]this[/url]. When switching to three rune blade for example though, it [url=http://i.imgur.com/5RN21zQ.png]is working[/url] until I switch back. I tried several classes and it is different for all classes as far as I can tell. I have team colored boxes behind the times. But when I join a game it looks like this: http://puu.sh/s75tK/15d731a9c6.jpg Then when I hud_reloadscheme I get this: http://puu.sh/s75tU/781533426e.jpg . How do I make it so that it stays like the second one. duck_ extract all hudfiles with GCFScape to a folder, use notepad++ search in files or whatever IDE you use that can search through text and look through the if_ ones that come up besides if_comp, _mvm, _match, _halloween and the ones in mainmenuoverride to have various background images. duck_ extract all hudfiles with GCFScape to a folder, use notepad++ search in files or whatever IDE you use that can search through text and look through the [i]if_[/i] ones that come up besides if_comp, _mvm, _match, _halloween and the ones in mainmenuoverride to have various background images.